Sciatic Nerve Pain Relief With Paul M. Bizzaro, D.C.
Sciatica is caused by compression on the sciatic nerve and the pain can be excruciating. The low back pain that radiates down the back of the leg can be debilitating. 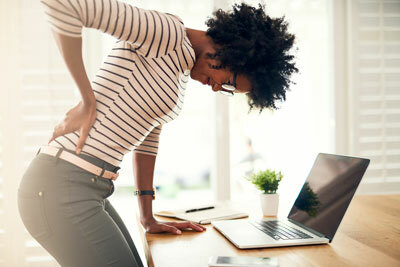 At Paul M. Bizzaro, D.C., we understand how discouraging it can be to complete even the simplest of daily tasks with this pain and we are here to alleviate your sciatica. Dr. Paul has helped many patients experience sciatica relief without surgery. We employ gentle, natural, noninvasive chiropractic techniques to treat this chronic ailment. Our unique approach to care gets you out of pain quickly and helps the body heal itself naturally to prevent future flare ups.